Ships today if you order in the next 9 hours 49 minutes. Take control of your overall health and wellness with a phytonutrient boost from Pure Synergy Organics Beet Juice Powder. Certified organic and overflowing with antioxidant power, this juice powder is your ticket to optimal health! 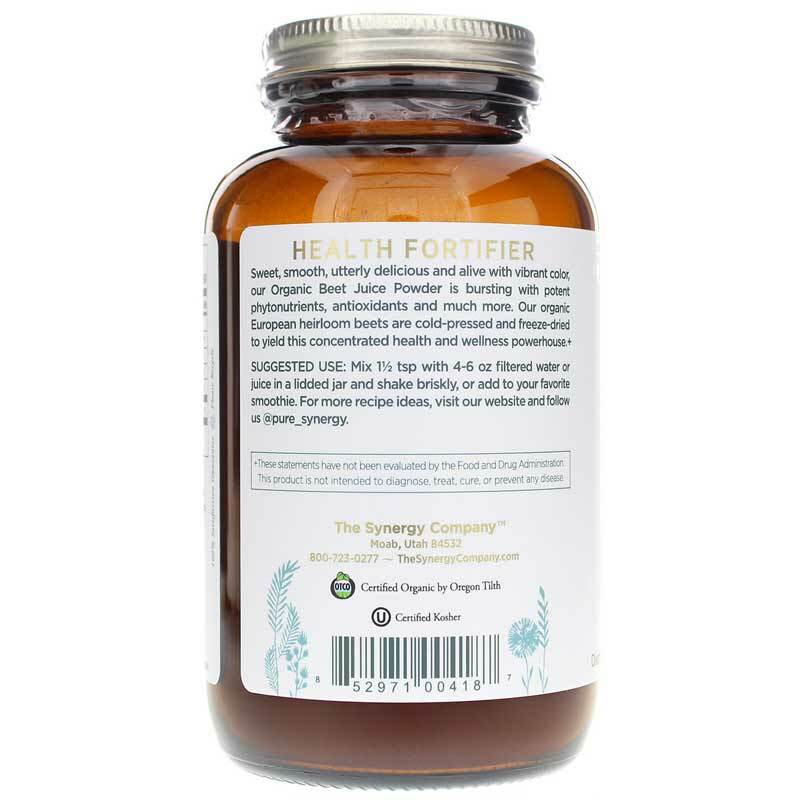 Pure Synergy Organics Beet Juice Powder is absolute free of unwanted additives, sweeteners, and fillers, and works well as a blood-building and cleansing solution. Beets contain a 100% natural form of betaine, Vitamin C, potassium, and other essential vitamins and minerals. Enhance your body's ability to detox and manage inflammation with Beet Juice Powder. Don't leave this nutrient powerhouse out of your daily diet. 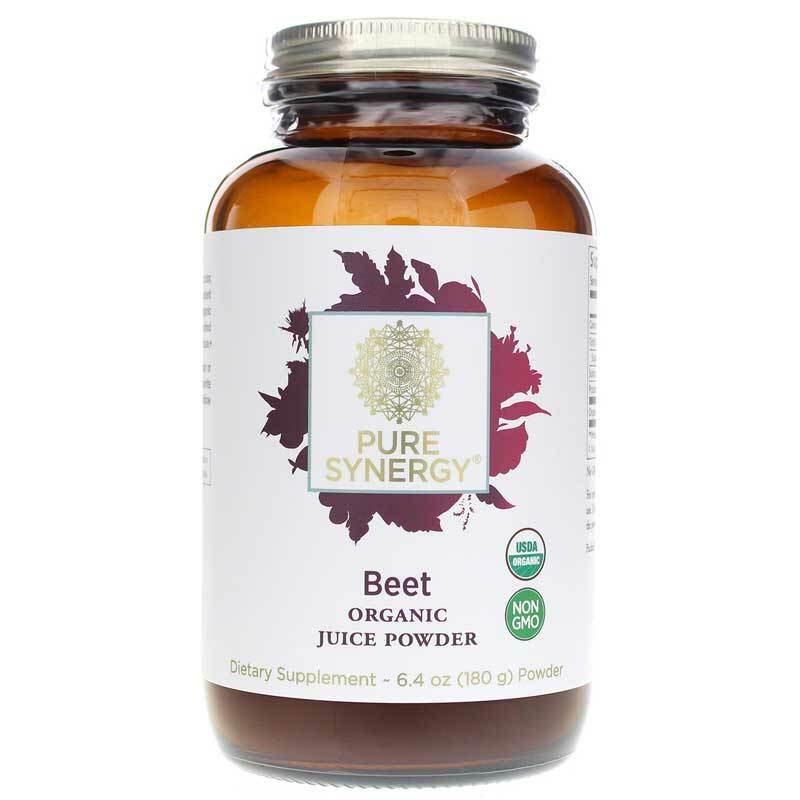 For better overall health and wellness, as well as heart and liver support, try Beet Juice Powder from Pure Synergy Organics today! Ingredient: Organic Beet Juice Powder. Adults: Mix one and a half teaspoons with 4 to 6 ounces of filtered water or your favorite juice to make a delicious, sweet, light beet juice drink. More or less may be used depending on your personal preferences. Beet Juice Powder is the best beet powder that I have ever purchased. It is organic, gmo free and the texture is not grainy. There are no added fillers and the taste proves that! 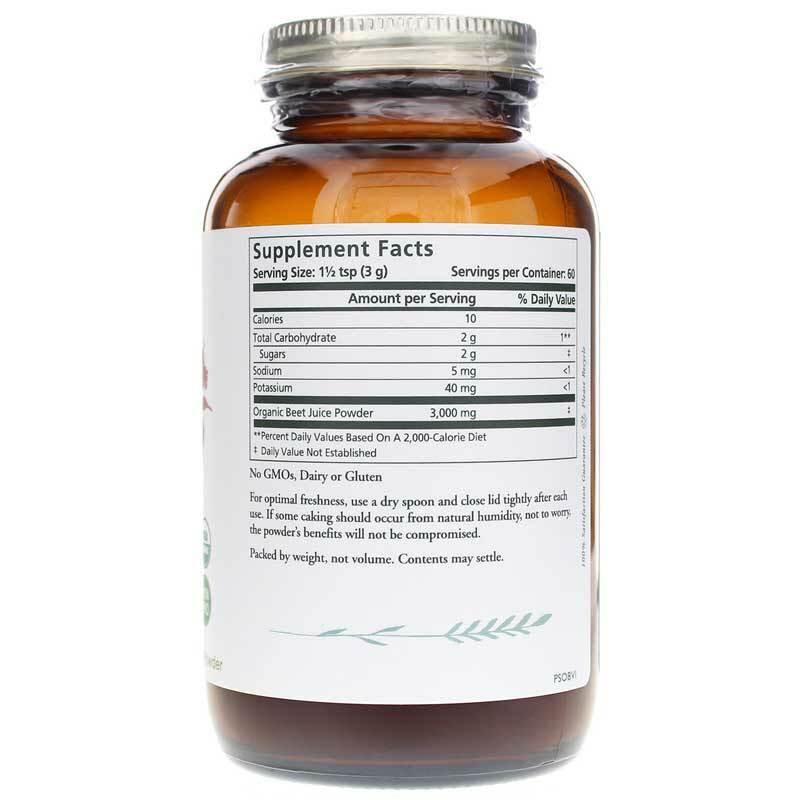 This beet juice powder is a great tasting natural drink. Mixing a morning drink for the prescription medicine. Powder adsorbs moisture FAST. Can't use the entire bottle at once. Takes two months. The drying pad is too small? The cap was secured tightly. BUT this remains my best choice for the powder. This stuff is fantastic.I hate beets bit love the taste of this powder. Get all the health benefits with the great taste. The powder can harden up if left in thr bottle. To solve that issue, as soon as you open the bottle, pour tge entire contents into a ziplock bag. Store it that way to avoid the powder from hardening up. I got my package in the mail this morning. It took only 4 days to get to me! I drank my daily dose and I definitely taste the beet which is great and I can say I trust the company. Thank you for such a great product!